I turned 34 last month! 3-4! I remember a time when 34 seemed so far away and SOOO OLD! I have to say that I am loving my 30s! Seriously. But it is going so fast. Too fast actually. Anyway, there are so important routines that I want to establish now. I have been learning and implementing better food choices and fitness into my life, but my skin has been falling to the wayside. I really need to be focusing on establishing a good skin care regimen, so I have been testing different products to find what works best for my skin and what doesn’t. I’m so excited to try different products. (Prior to becoming a mom, I was a product junkie!) As I try different things, I will share my results and thoughts with all of you. 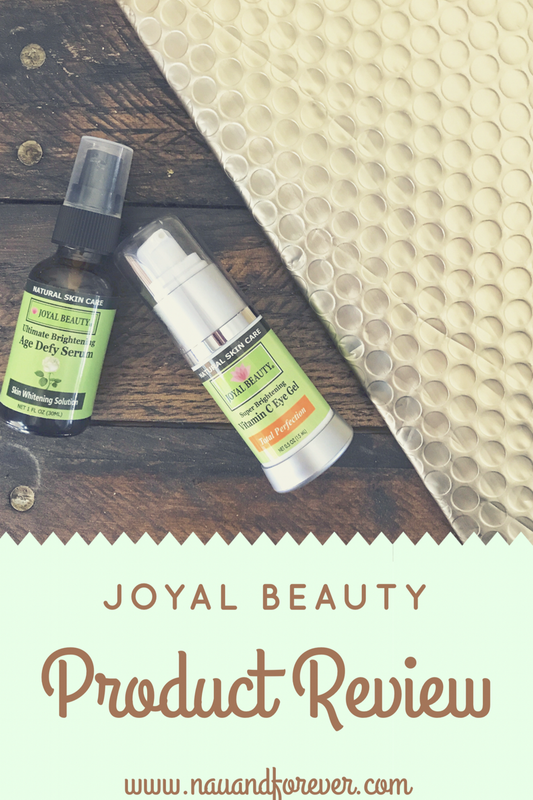 The first two products I have been trying this year are both by Joyal Beauty: Vitamin C Eye Cream and Ultimate Brightening Age Defy Serum. I have learned that an eye cream is so important. As a mom, I deal with puffy eyes because, well, sleep isn’t always an option when you have twin 3 year olds and a newborn. 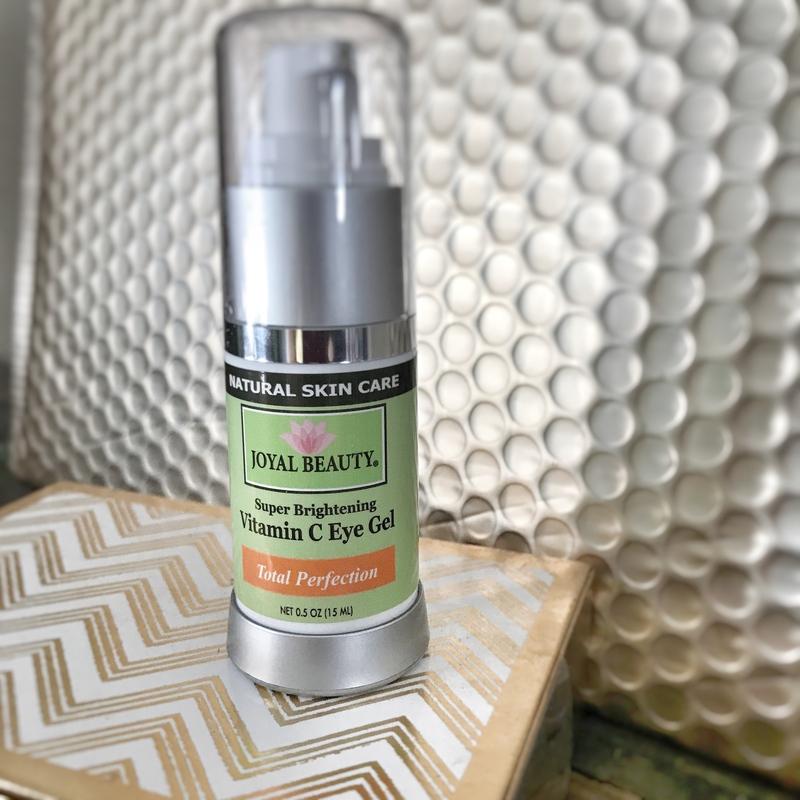 This eye cream has vitamin C. Vitamin C is very important and has a ton of benefits (check out this article at Style Craze for 27 Amazing Benefits of Vitamin C). It also contains caffeine, avocado and plant cells. I have been using this eye cream both morning and night. I put a small amount on my finger tip and dab around both eyes. It feels great going on and absorbs into my skin well. I do feel like it has helped my puffy luggage I carry under my eyes. 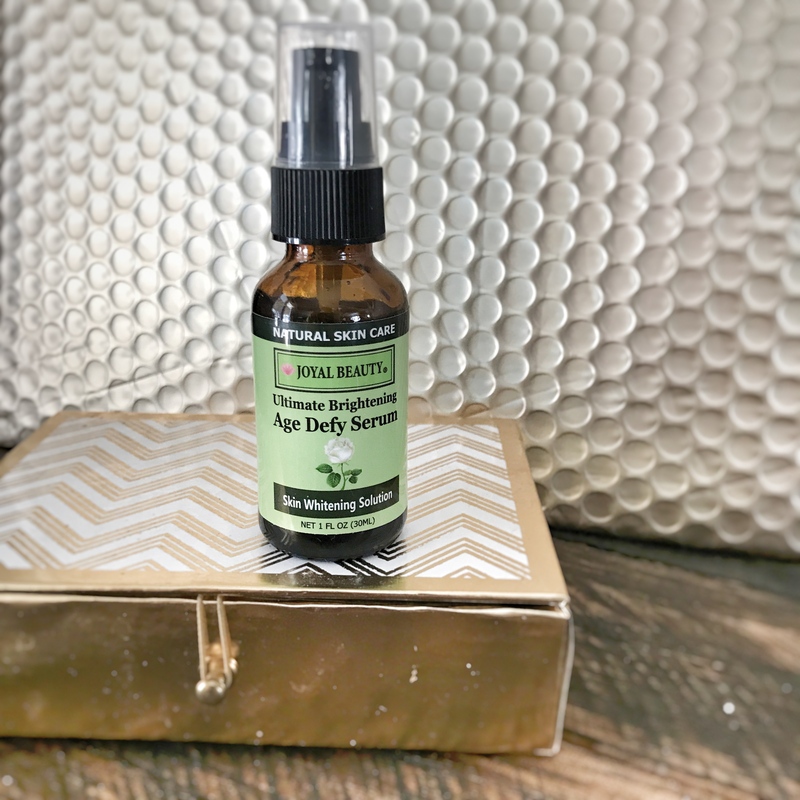 The second product is the Brightening Age Defy Serum. 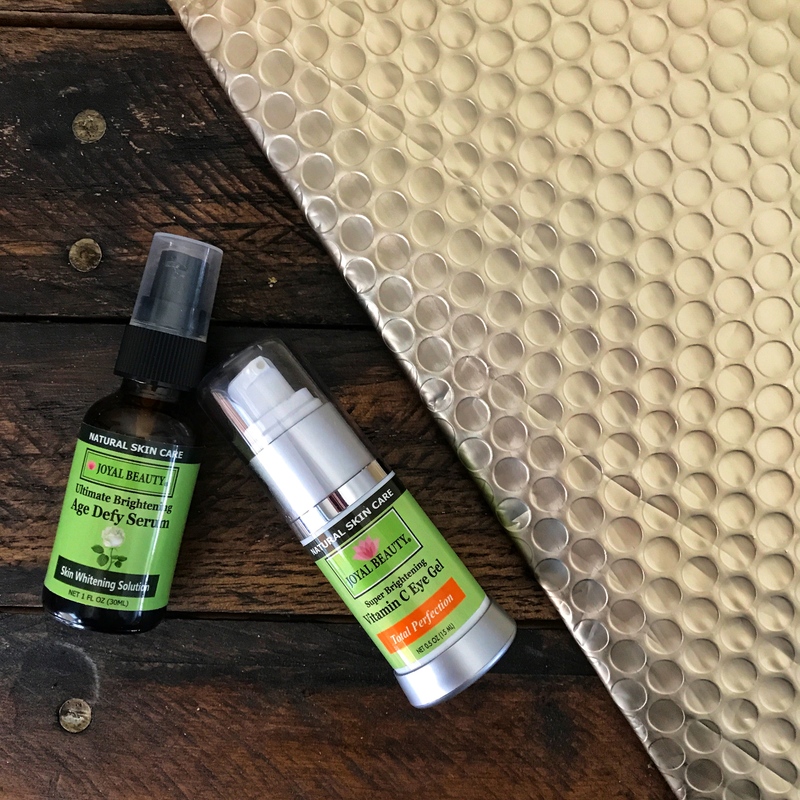 My skin has been super dull so I am looking for something that will brighten my skin and age defying is so key at this stage in my life. I apply this serum in the evenings prior to any moisturizer. It absorbs well and isn’t sticky. It claims to be good for both dry skin and acne prone skin. My skin definitely feels softer and smoother after application. I haven’t noticed any changes yet to my complexion, but I can say that my face feels great. I will keep you updated as I continue using the product.